Photography and Life by dr Frank: Pittsburgh Engagement Photography - will you marry me? Images taken during an engagement shoot are one way to recapture that special day when the groom to be, asked the love of his life, "will you marry me". 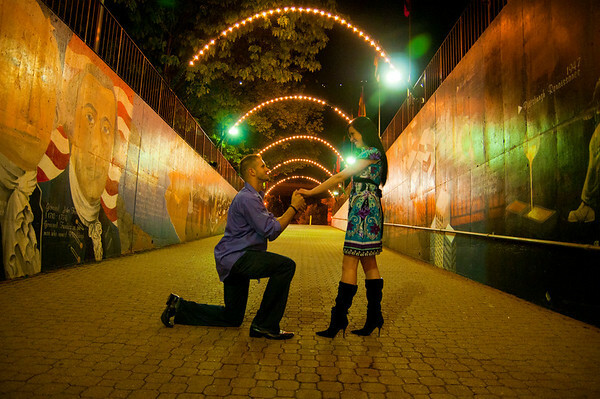 Andrew and Vanessa were engaged on the walkway to the Gateway Clipper in Pittsburgh, Pa. Yesterday's post provided a few more details of the engagement session as we walked through the streets of Station Square and rode the incline to Mount Washington.